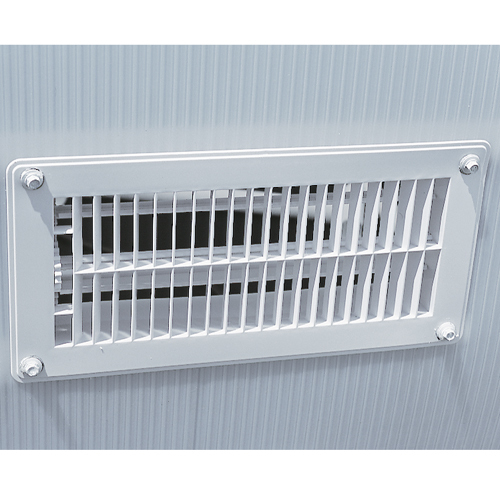 Create a natural cross ventilation with a combination of base vents and louvers. 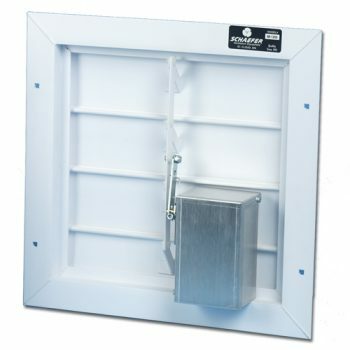 Mount two of these ABS polymer 4″ x 9″ base vents for every 4 feet of greenhouse length; close them up in cold weather. Works. 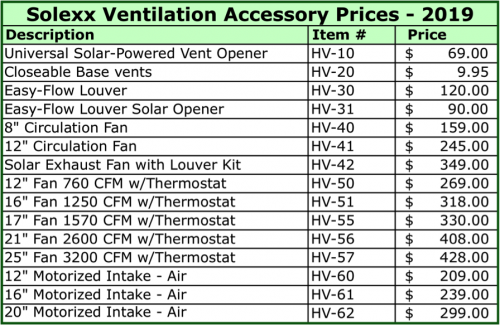 Strong air circulation supports healthier plant growth. 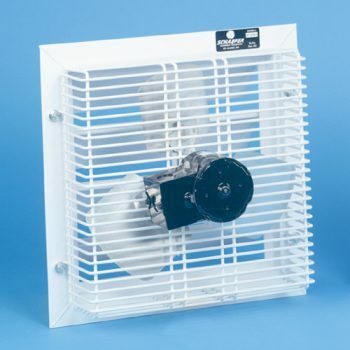 Variable speeds; maintenance free; energy efficient; easy installation; adjustable mounts. 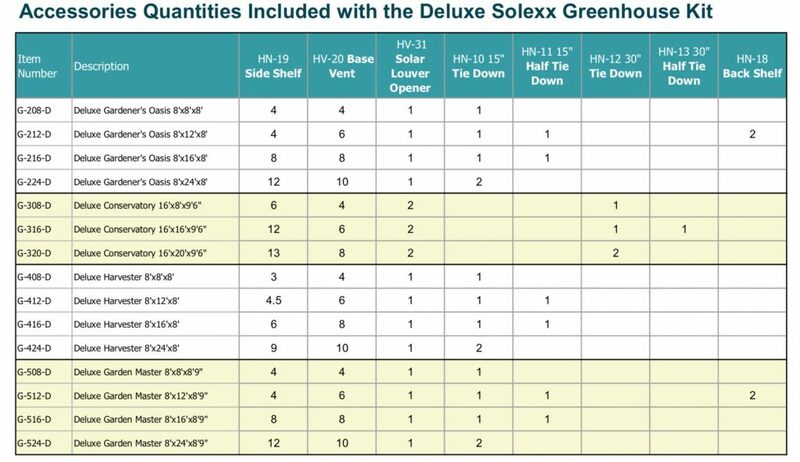 Designed for greenhouses. This high-powered fan provides rapid air exchange. 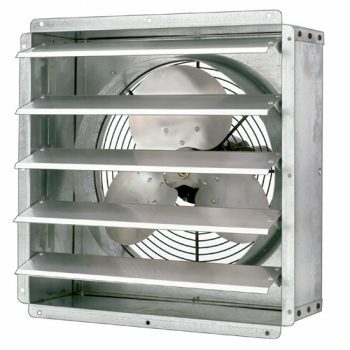 Galvanized steel frame for less rust and corrosion; thermally-protected motor; thermostat and wiring for 115v; 760 CFM. (Larger sizes also available). 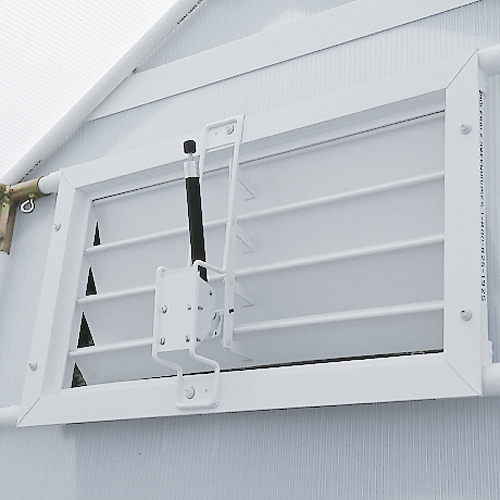 Louvers are designed to let fresh air in and keep the rain out. Made from outdoor-grade PVC; 24″ x 12″; choose manual or solar-powered operation. No electricity required. Automatically opens and closes as the air in your greenhouse warms or cools. No batteries or electricity required. 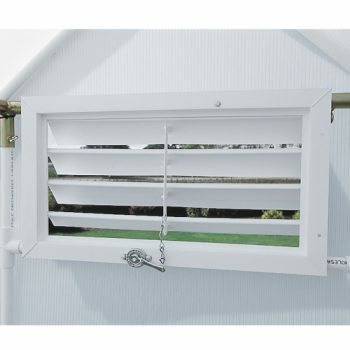 (Note: this is the opener only; louver is not included in this accessory). If it’s sunny out, even in winter, the temps in the greenhouse will climb rapidly! Nice not to have to worry about it if you’re not there to open the vents. The parafin wax in the piston of the solar-powered vent opener expands and contracts to automatically open and close the vents as the temperature changes. No electricity or batteries needed. Extends 12″ to open; supports up to 15 lbs. 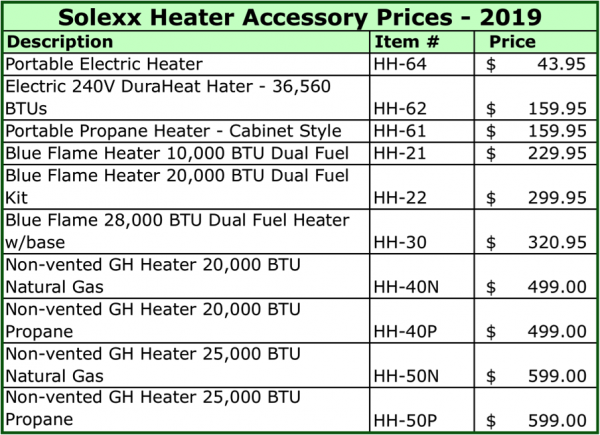 Open-flame radiant heaters; polished aluminum back reflects heat; promotes uniform warmth from floor to ceiling. Thermostat allows you to specify desired temp (35-75 degrees F); safety gas shut-off if pilot light goes out. 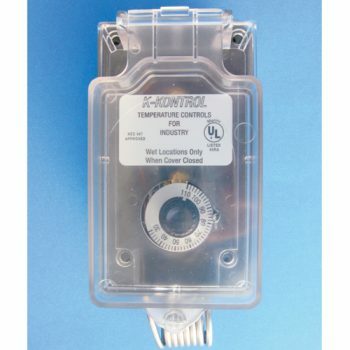 No electricity needed; great insurance during power outages. Clean-burning (no toxic fumes). 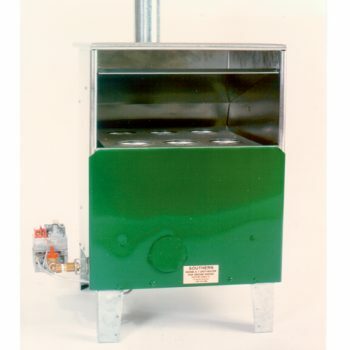 Low profile: measures 22″ tall by 12.5″ diameter; stainless steel burner rated at 20,000 BTU; natural gas or propane (tank not included; requires 100 lb tank or larger). 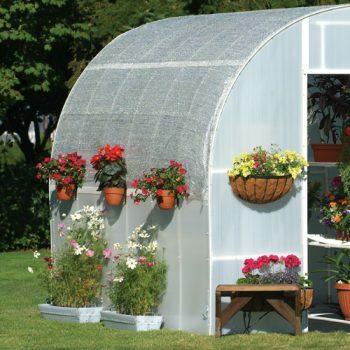 Designed for greenhouses. Natural gas or propane; 25,000 BTUs; circulates air from the floor up for an even radiant warmth. Combusted gases are vented outside. Measures 16.25″ w x 17.5″ deep x 25″ tall. Designed with vertical flues to provide maximum air circulation; made of non-rusting aluminum and aluminized steel for durability in moist environments; wall-mounted thermostat adjusts from 35-75 degrees F; safety gas shut-off valve. Requires vent pipe, flashing, 100-lb natural gas or propane tank. Does not require electricity. Do you find you can’t use your greenhouse as much in the summer because of excessive heat? This reusable black polypropylene 50% shade cloth filters out excess sunlight and lowers the temps on those scorching summer days. 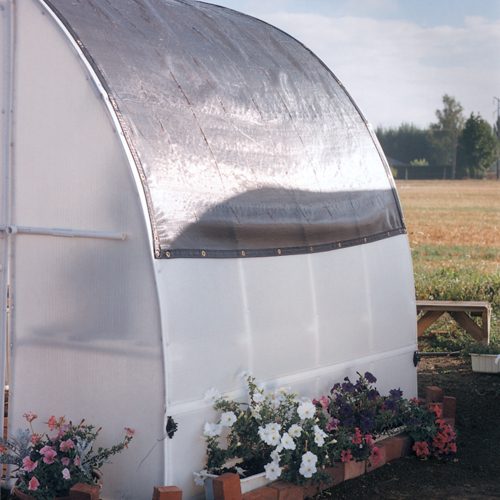 Lower temps also prolong the life of greenhouse panels. 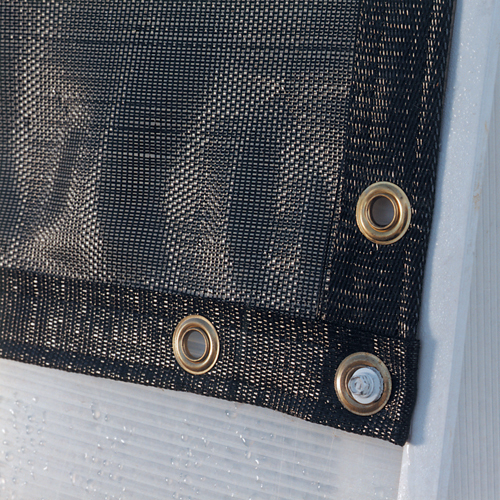 Reinforced, hemmed edges; grommets; easy to put on and take off. Several sizes; can be custom ordered. 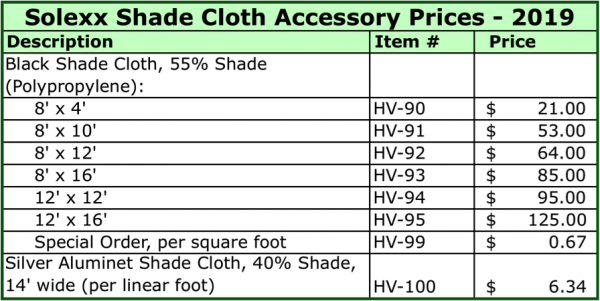 This material will keep your greenhouse cooler than regular shade cloth because it is highly reflective, does not absorb heat, and blocks 40% of the light. 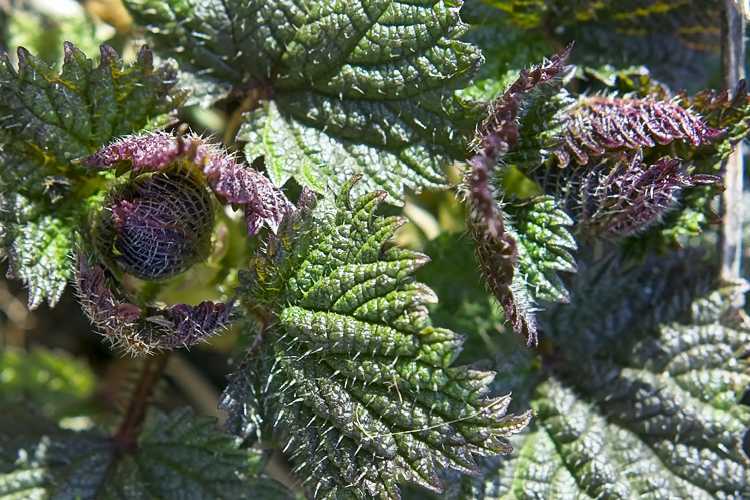 It also improves light diffusion and protects against frost. Unfinished edges do not fray and are easily cut to size. 14′ wide; length cut to order. Eliminate weeds from your greenhouse floor. 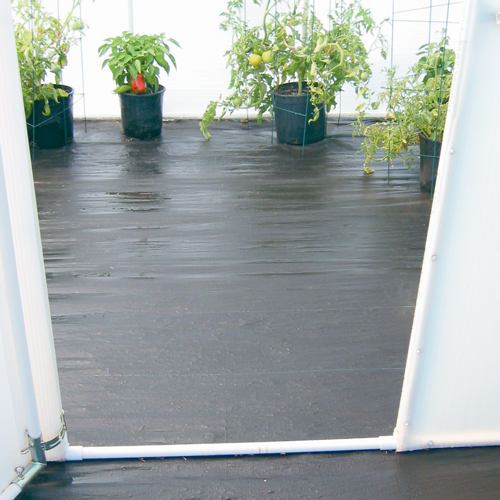 Durable black polypropylene; easy to install; includes wire stakes; allows water drainage. Custom orders available. 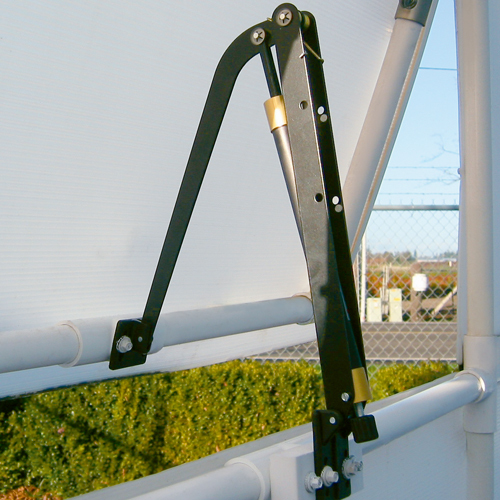 Hold it down in strong winds with the easy-to-install kit. Twist the anchors into the ground every 8 feet and attach the J-hooks to the greenhouse frame. 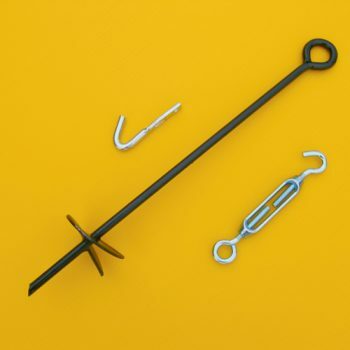 Connect the frame to the anchor with turnbuckles. Disconnect if you want to move it. 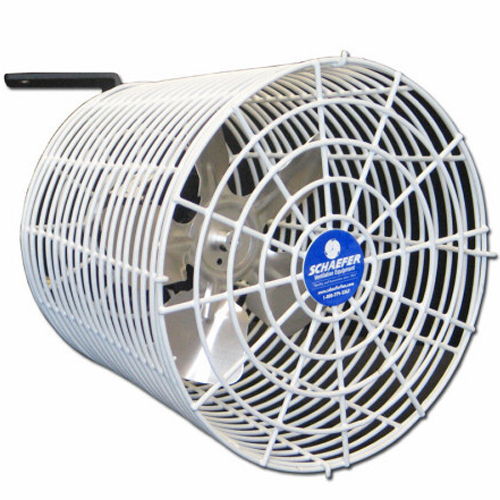 30″ long anchors are available for large greenhouses or going into sandy soil ground. 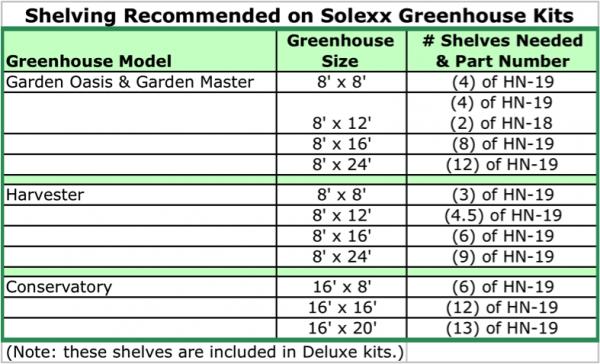 Need help putting a greenhouse together? 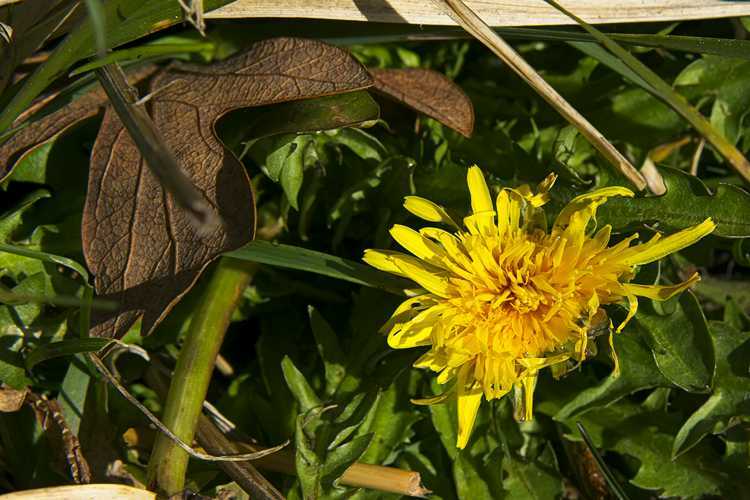 If you are here on the Olympic Peninsula, we recommend ONA Landscaping. We have a definite bias: the owner of ONA Landscaping is our son, Matt Ward – but we are also biased because Matt and his business partner, Micah Rankin, do fantastic work and are ultimately reliable. ONA Landscaping has been in business since 1977 (Matt has been running it since 2014). It has a well-earned reputation of quality and trust in our community.